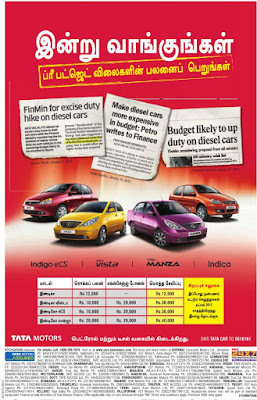 TATA Motors presents exciting offer for buying car before the Annual Budget. 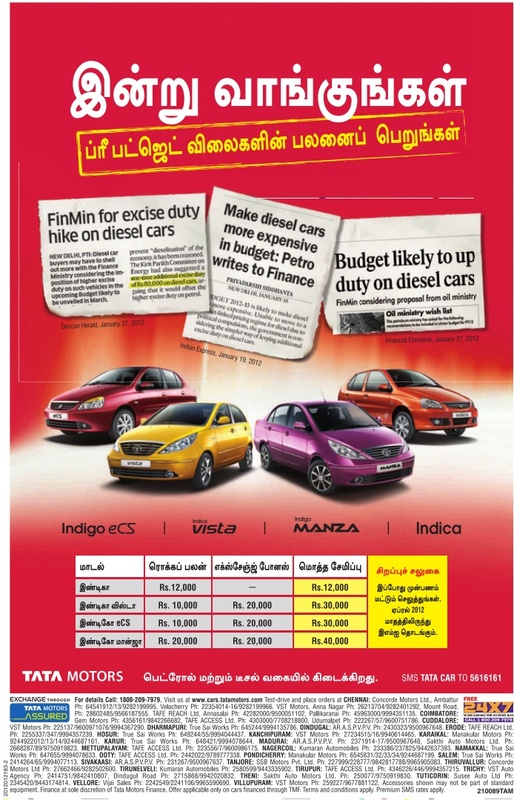 Since the Diesel car excise duty is likely going to be hiked, it may be a good offer for those who are looking to buy a new car. You can book Indigo eCS/Indigo Vista/Indigo MANZA/Indica at pre-budget price today and start paying back your EMI from April (after the budget).